Who doesn’t want to spend their summer on the water? Fishing, boating, swimming, picnics and fun for the whole family abound by the water’s edge. And, just in time for summer, Keystone Custom Homes has announced their newest phase of homes at Bethel Springs in North East, Md. Residents of this new phase of homes from the Maryland homebuilder will live within a 10 minute drive of the Chesapeake Bay. One of the easiest ways to enjoy the water is with a visit to the North East Community Park, a 10 acre park with three picnic areas, volleyball court, children’s playground, space for fishing and docking and the Gilbert Lighthouse Pavilion. Elk Neck State Park, which is home to Turkey Point Lighthouse, campgrounds, hiking trails and several water activities, is also just 20 minutes away from the community. Keystone Custom Homes will offer five floor plans in their newest phase of homes at Bethel Springs. Each home will be complete with three to four bedrooms and two-car garages with pricing starting in the $220’s. In addition to easy access to Chesapeake Bay, plenty of shopping, dining, entertainment, recreation and major roadways surround the community. 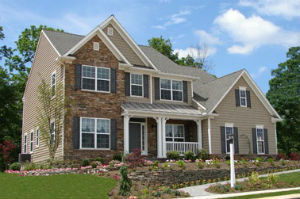 To learn more about the new phase of homes, please call Barb DiBrito at 717-368-9831 or visit www.KeystoneCustomHome.com.